It's about that time of year when people are figuring out their race calendars - whether it's your first race or your hundredth, it's good to plan out your training ahead of time. 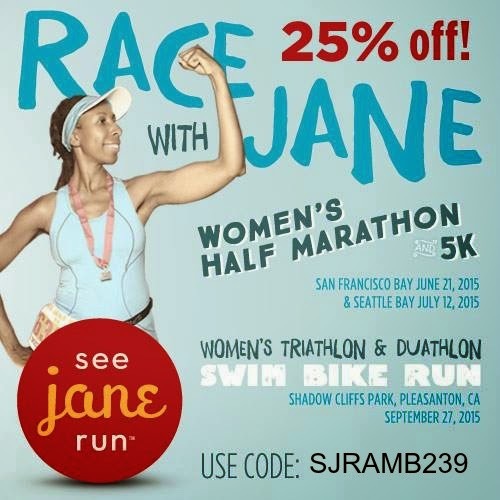 As you may know, I'm an ambassador for See Jane Run! I've been doing SJR races on and off for years, and a couple years ago, I decided I really wanted to help promote this race company because I love how empowering and friendly it is, and I fully believe in the SJR philosophy, which is that anyone can be a "Jane" - it doesn't matter how fast you go or how many miles you run. And if you can run a mile, then you can run a marathon. (If SJR had a full marathon, I would be all over that, btw). To enter, please follow the instructions below. The winner will be chosen on Sunday, March 1st. If you find, after March 1st, that the odds were not in your favor, fret not! You can use my code below for 25% off your race registration. 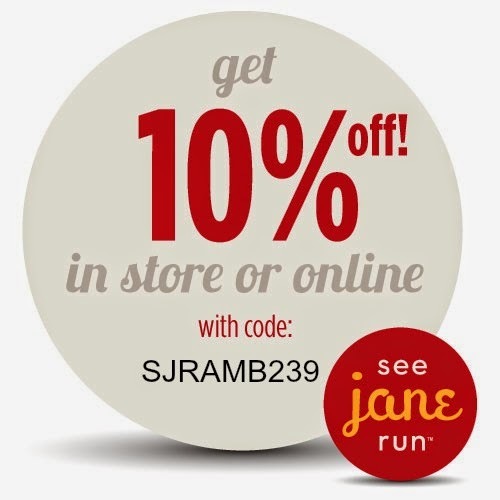 Bonus: The same code will get you 10% off your purchases from SJR as well. I love to run/walk because it makes me feel grateful to be able to move my body.